Calling all my PB and Chocolate lovers…all my Dairy Queen Blizzard lovers…and all my “I need to get my eating under control” peeps!!! I found myself hitting the afternoon slump – beginning to drag and opening and shutting the pantry doors trying to talk myself into why the M&M stash was the appropriate thing to dive into…but then I quickly remembered my commitment to myself. I am COMMITTED to my goals…my healthy, balanced, clean eating goals – and well M&Ms don’t fit the plan!!! So…as an alternative I whipped up this chocolately peanut butter goodness! I BLENDED EVERYTHING WITH ABOUT 2 CUPS OF ICE UNTIL SMOOTH. 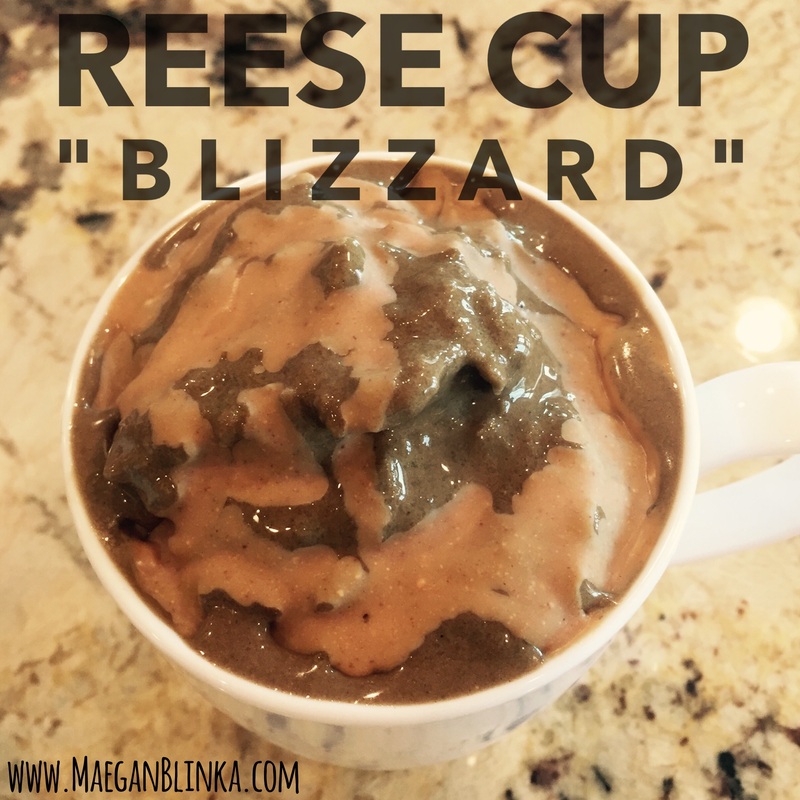 FOR THE TOPPING I MELTED 1 TSP COCONUT OIL WITH 1 TBS PB2 – I ADDED A LITTLE BIT OF WATER TO GET THE CONSISTENCY I WAS LOOKING FOR AND DRIZZLED INTO MY SHAKEO!!! The PB mix hardened and it was like eating a blizzard…which is a bold statement coming from this ice cream lover!!! Seriously-you have to try it!!! I used to think CLEAN EATING was boring, bland and nothing but veggies and protein but clean eating is so much more! The benefits are pricesless and its fun to find new recipes and twists on favorites that not only taste delicious but are easy on your waistline too! 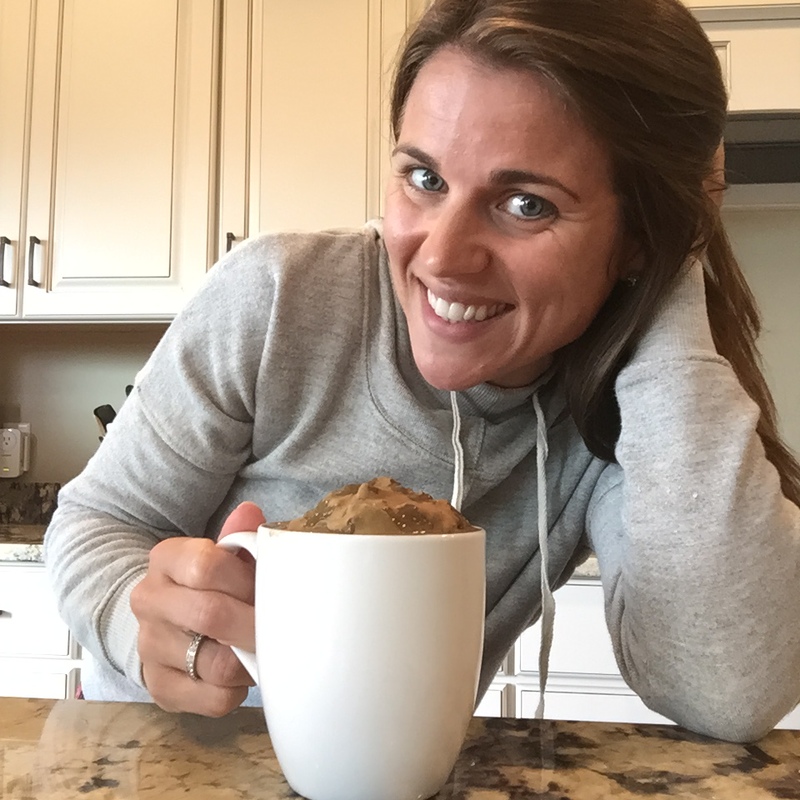 If you’re interested in learning more about SHAKEOLOGY or just Clean Eating in general send me an email (maeganblinka@gmail.com) and we can chat! If your’e ready to commit to the LIFESTYLE and make changes and have the support to help you get there – then fill out the application below for one of my upcoming Health & Fitness accountability groups!! !